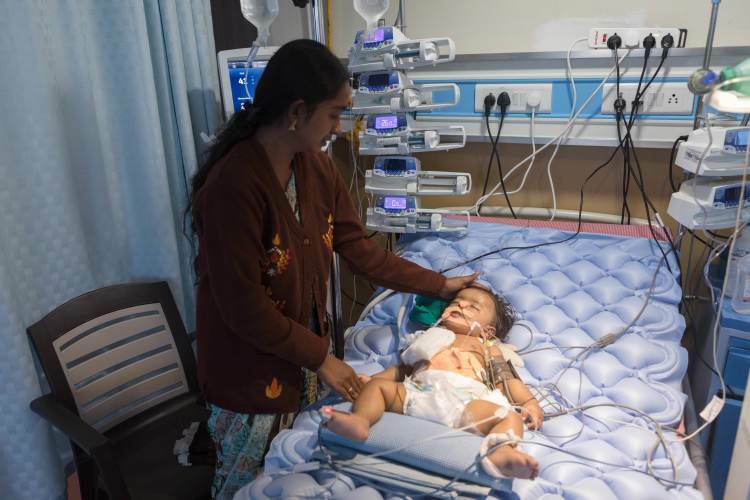 Sandhya's 8-month-old baby Anirudh is critical with infection and kidney disease. His condition rapidly deteriorated and he has been in the ICU for the last 10 days. 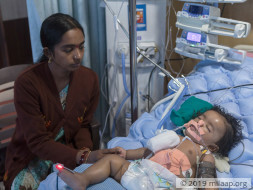 He has just started showing signs of improvement but Sandhya's hope is marred by a lack of funds for Anirudh's treatment. Sandhya was abandoned by her husband when she was pregnant with Anirudh. She and Anirudh live with her parents in Hyderabad. Her father Sadanandam is an auto driver and his earnings take care of the entire family. His encouragement was crucial in Sandhya picking herself up after the separation. 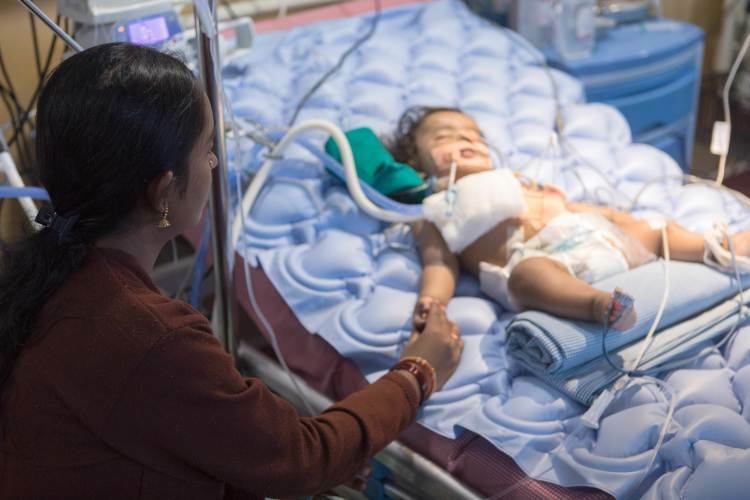 Though heartbroken at first, Sandhya decided to be strong for her baby. She decided to get a job and earn some money once he was weaned. She decided to bring up her child well – with or without a husband. Anirudh's illness has left her shattered and taken away her reason for living. Sandhya's husband has not come to see Anirudh even once. He has cut off all contact with the family. Even if a mutual acquaintance tries to reason with him, to help his son, he picks a fight with them. 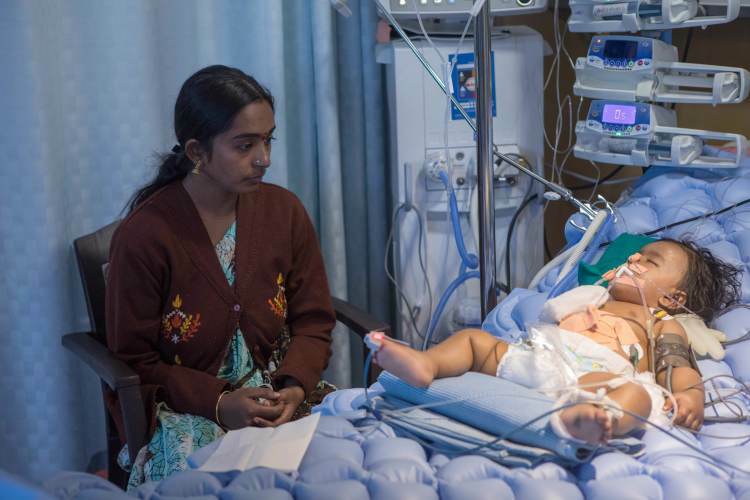 Managing the treatment is becoming too much for Sandhya and her aged father alone. Anirudh was brought to the hospital in a critical condition. 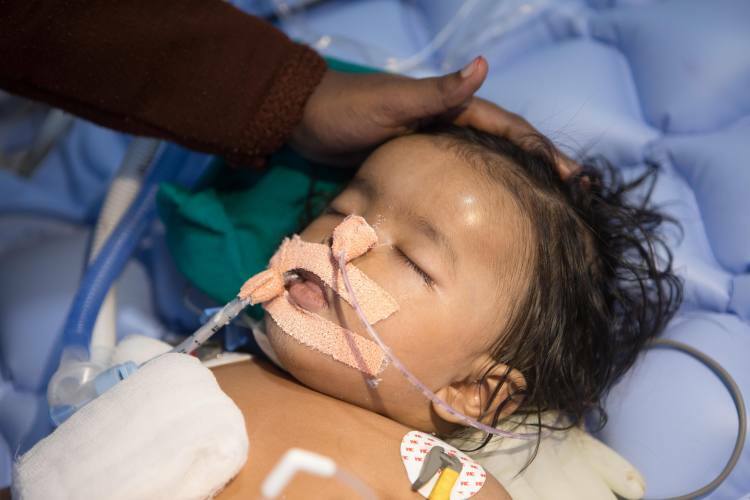 His kidney and liver were failing and he had a bad infection that was giving him seizures. He needed emergency dialysis. But slowly, his condition is improving. It has given Sandhya some hope to cling to. The only obstacle in the family's way now is the lack of funds. Sadanandam earns as much as he is able to work which is usually about Rs 7,000. This barely covers the family's living expenses. 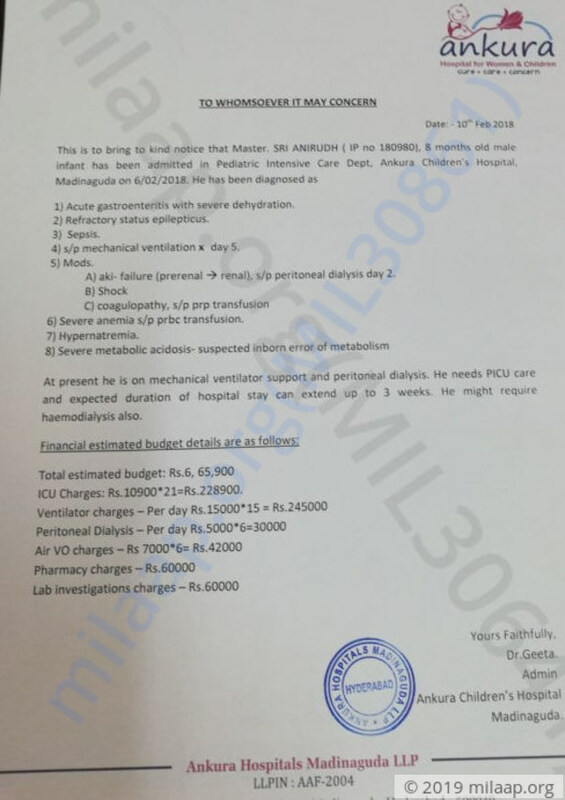 Anirudh's lengthy stay in the ICU has severely upset the family's finances. Sandhya has sold off what little gold and borrowed from relatives to pay off bills worth Rs 1 lakh. 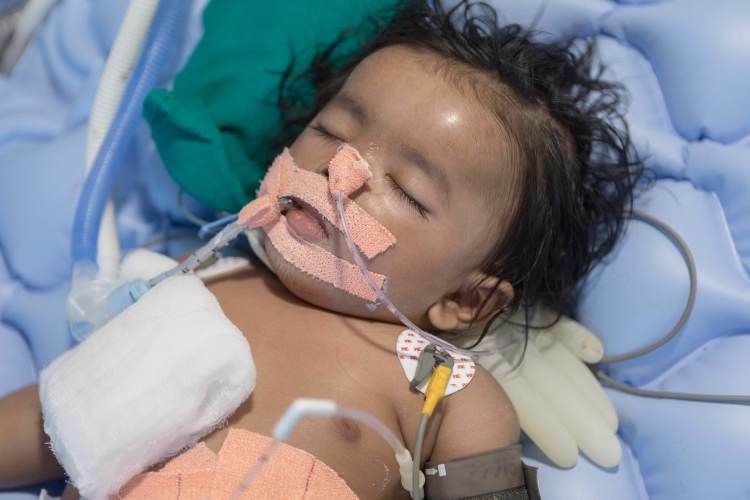 She needs Rs 6.6 lakhs more to keep him in the hospital for a few more weeks. He is so critical that without this medical care, Anirudh will not make it. 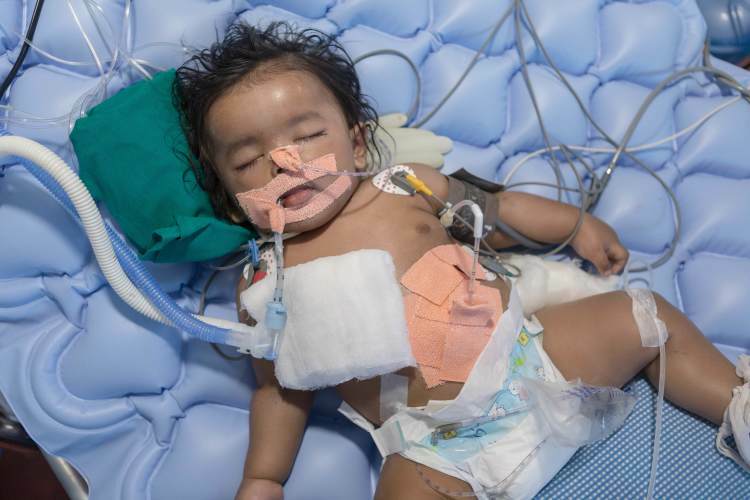 Your contribution will help this mother save her baby's life. 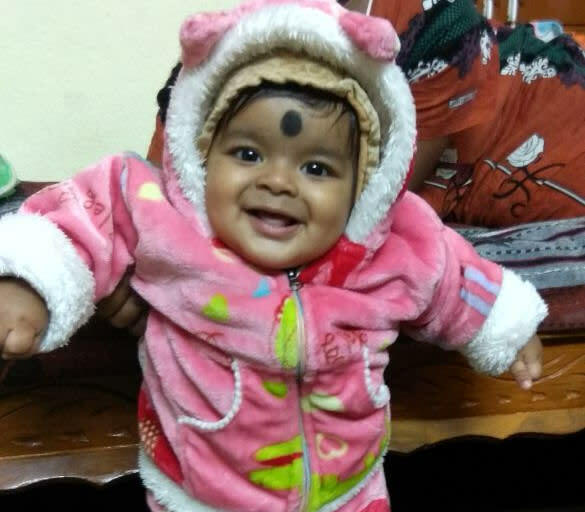 The kid has got fever and cold, the kid has been taken to the hospital for the diagnosis. Now the kid is doing good and doesn't have any complications. The kid is now at home. 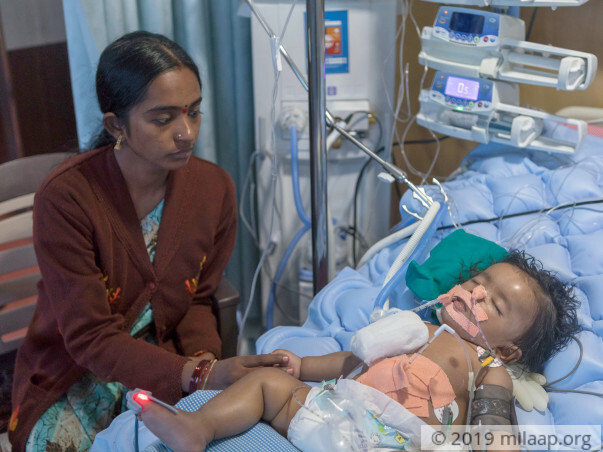 Baby Anirudh was discharged from the hospital in the month of March and he's currently at home, doing well. He has been going for regular follow-ups and so far, no complications were detected. This couldn't have been possible without the support of you all. Thank you so much for the love and support which you have shown towards us. Baby Anirudh has been discharged. The hospital bill is being settled, the baby is doing good at home. The baby was given milk by tube when he was in the hospital, now he is back to mothers feed directly. No further episode of seizures, the mother is happy to see her baby boy smiling at her again. Thank you for the wonderful support you have shown Anirudh. We are really grateful to all of you.